Size: approx. 5-10 mm. Photo: 06/21/11, 8 am. 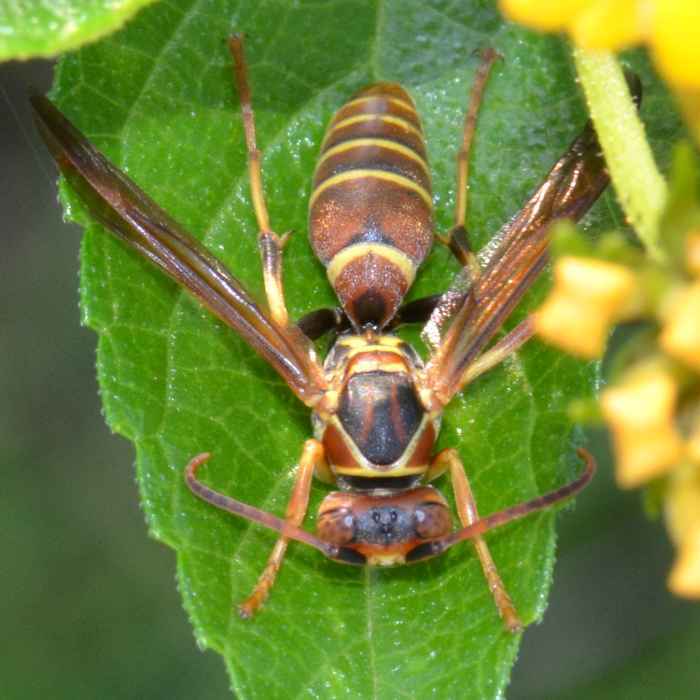 That's a pretty big 'paper wasp' cleaning its antennae on a jasmine leave. There are sooo many wasps and bees but it really looks like Polistes metricus. Males and females have yellow and red/brown faces, respectively. So this one is likely a gal. Only the females sting. They mainly feed on caterpillars, which surprises me because I haven't found any recently. They have an interesting life cycle as described on the wikipedia page. 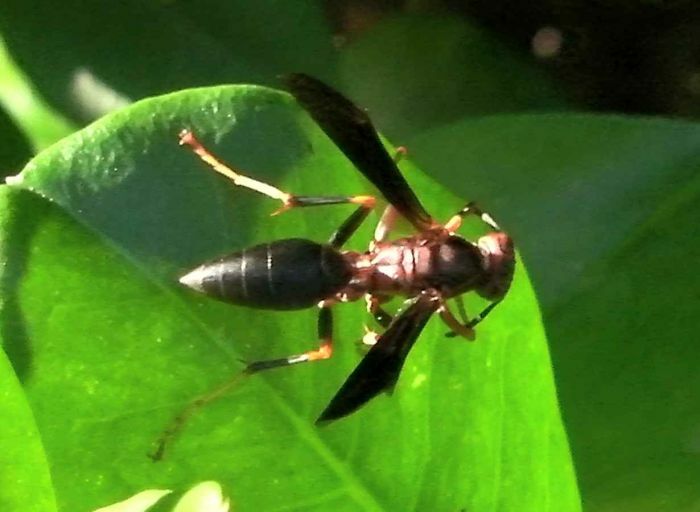 Polistes dorsalis (Paper Wasp (nonspecific)). Size: approx. 15 mm. Photo: 08/27/11, 6 pm. 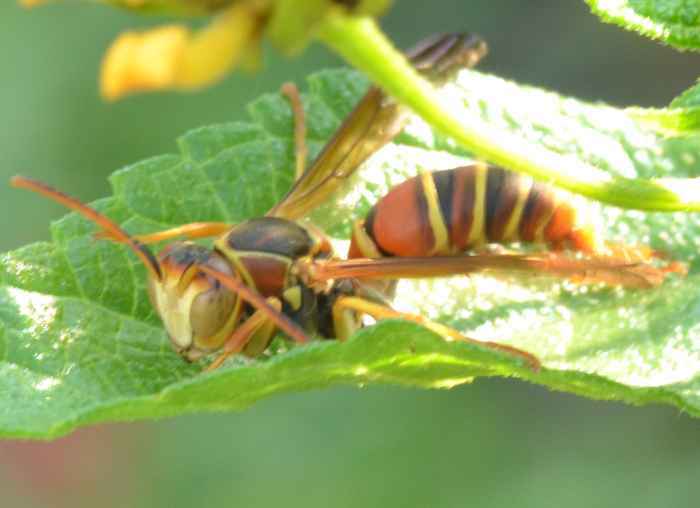 This colorful paper wasp is Polistes dorsalis resting(?) on a lantana leave. The genus has 18 or 19 species in the US and Canada. So I have still a few to go.